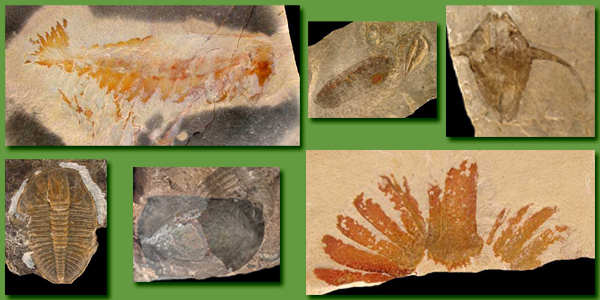 Welcome to the "Utah's Cambrian Life" web page! The purpose of this web site is to provide an overview of the diverse Cambrian life that flourished in an ancient sea that covered what is now Utah over 500 million years ago. Evidence of Utah's Cambrian life is revealed by an exceptionally well-preserved fossil record of soft-bodied life forms that rarely stand any chance of becoming fossils. The focus of this web site is to showcase these special fossils, as well as to describe their geological and evolutionary context. Many of the fossils shown on this web site were collected by the Gunther Family of Utah, who were instrumental in bringing these fossils to light. University of Kansas Professor Emeritus Richard Robison, along with colleagues, was a pioneer in describing and documenting these amazing fossils. 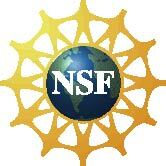 The research presented on this web site was supported in part by the National Science Foundation (Grant EAR-0518976 to Bruce Lieberman, Department of Geology and Natural History Museum, University of Kansas). Please use the navigation bar at the left to explore this site.